My guest is Amari Romero-Thomas. Amari has over 15 years experience in the nonprofit sector. She was executive director for two nonprofits and has overseen grantmaking efforts within United Way. 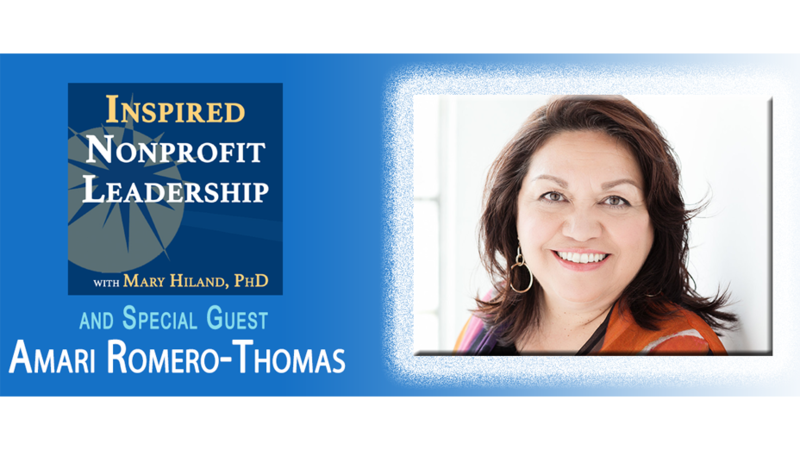 While a senior consultant for a management assistance nonprofit, she focused on executive transition and search and oversaw the development of their coaching program. Amari is the founder and currently the principal consultant at Mosaic Consulting and Coaching (Mosaic Consulting & Coaching). Mosaic assists organizations and individuals “put all the right pieces” together in service to their personal or organizational mission.